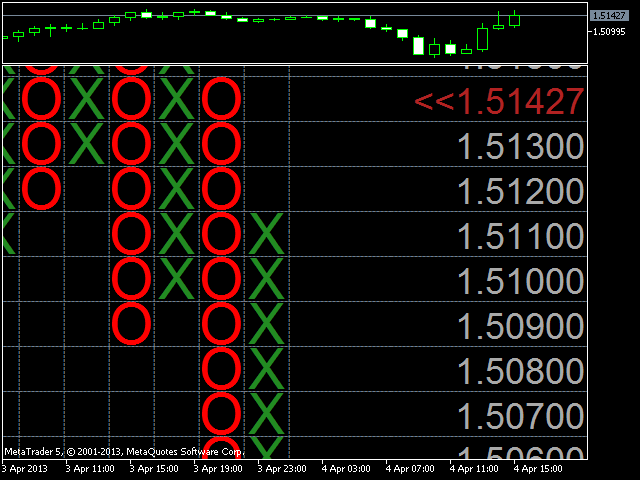 This indicator displays Point & Figure charts (PnF charts) in the indicator window. 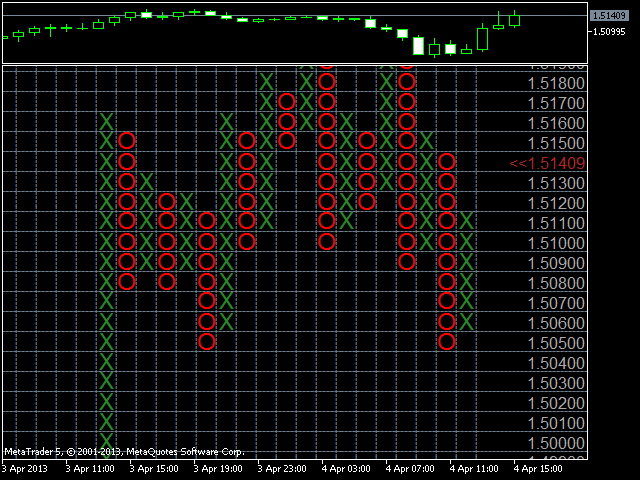 PnF charts show only price movements that are bigger than the specified box size. It helps to eliminate noise and allows focusing on main trends. Time is not a factor here. Only price movements are taken into account. That is why PnF chart is not synchronized with the main chart it is attached to. HIGH_LOW - only high/low prices are taken into account. ATR - as a current value of ATR indicator (Note: current ATR value will be different every time you reinitialize or reattach the indicator!). 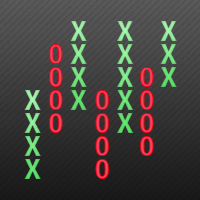 The chart can be moved and zoomed in/out using keyboard. 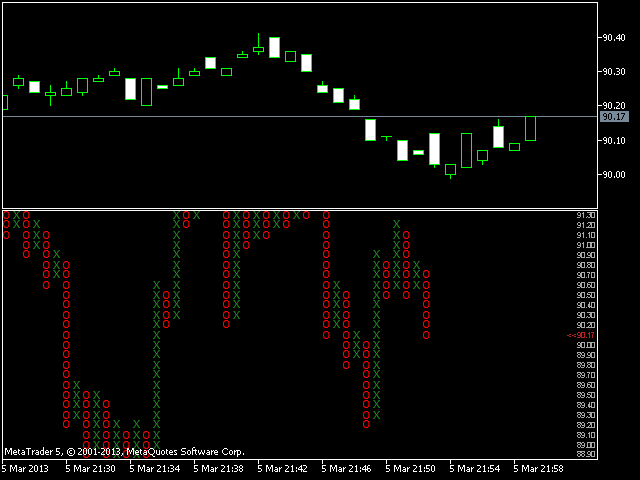 Note: The indicator does not work in the Strategy Tester (backtesting).